How Long Before The Milk Goes Away? 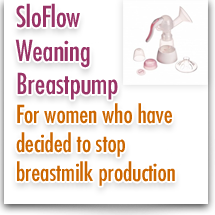 A few years ago a team of Physicians reviewed the scientific literature on Weaning and stopping milk production and concluded in the last 100 years that nothing new or helpful to induce milk suppression or to treat the pain and discomfort of engorged breasts. Over 1/3 of women thatattempt to stop breast milk product will experience severe pain. Women who wish to stop milk productions should be provided counseling and strategies to reduce milk production in a humane and rapid way. Unfortunately this is one area that gets little attention from the medical profession. This site focus on all areas of weaning and should give valuable information and direction if you have decided to stop milk production.